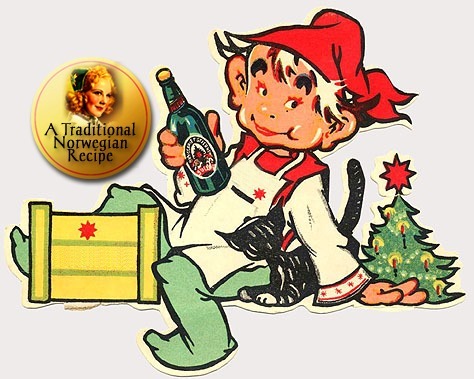 The recipe features Tomtebrygg (Nisse Brew) and that is a Norwegian product for home brewers and as you can see from from the picture above it has been in production for quite some time. The tradition of brewing your own beer has always been part of the Christmas tradition in Norway and the finished product is usually called “Juleøl” (Christmas beer). 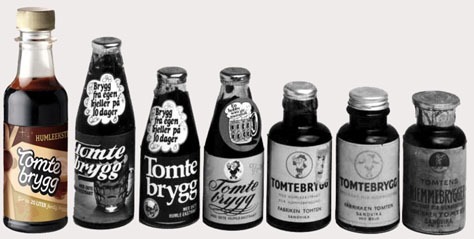 Tomtebrygg ingredients: sugar, water, colouring (E150c), hops extract, preservative (kaliumsorbat). You will probably be able to find similar products in your neck of the woods.